Increasingly, more and more brands are looking at influencers to establish connections with customers they would otherwise not reach. 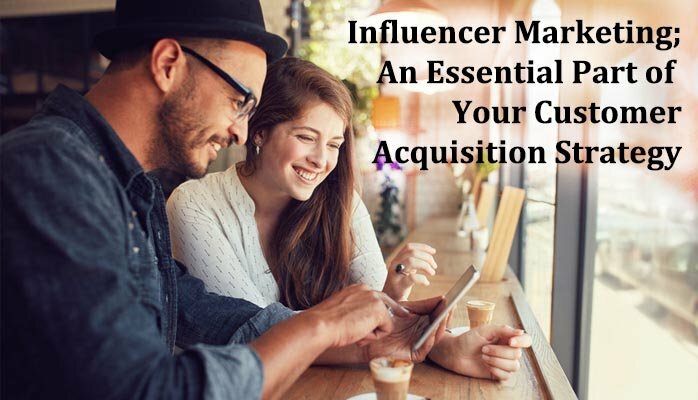 In a 2015 study by Schlesinger Associates for Augure, 84% of marketing and communications professionals worldwide expected to launch at least one campaign involving an influencer in the next 12 months. Those who had already done so were happy with the results, with 81% reporting influencer engagement was effective. 75% of those surveyed found that identifying the right influencers was the biggest challenge they faced when rolling out an influencer engagement strategy. This is where agencies like TAMBA can give you the edge. In creating an influencer strategy, we begin by looking at the budget and the audience our client wants to reach. The objective is to establish an achievable and measurable CPA for the influence campaign. Next, we consider who we want to use as influencers; are we targeting mummy bloggers in the UK, gamers in the United States or millennial males across Europe? Over recent years, we've built a large network of influencers from well-known Gen-Z YouTubers, to celebrities and bloggers with audiences well into the millions. We then create a profile of the appropriate channels to use. Some products naturally lend themselves to YouTube videos or Facebook live streams whilst others require the long tail effects of a written blog post with some quality link juice returned to our client's site. Thirdly, we look at how the engagement is created. Are we simply getting a product review, or are we creating a giveaway proposition or better yet, offering multiple engagement points so each influencer can make the campaign their own? Finally, we look at how we will measure the influencers. Page views and video views are an important metric, however, so are brand mentions on social media, uplifts in sentiment, increase in quality inbound links to your website and of course, sales. Measuring sales can be tricky, but influencer-only discount coupons, tracked URLs and GA goals can all be used to make this effective. If you've never attempted an influence campaign before, now is the perfect time. In a report by Neilson in 2012, 92% of consumers around the world said they trusted earned media, such as word-of-mouth and recommendations from friends and family so amplifying your brand through great influencers could be the best marketing decision you make.